My goal has always been to make Yellowstone County a safe place, especially for those who are particularly vulnerable. Our citizens need someone who is experienced, fair, and hard working. 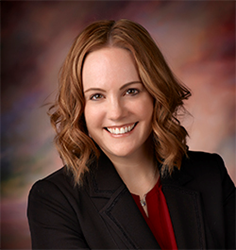 Former Chief Deputy Yellowstone County Attorney Juli Pierce has filed as a candidate in the race for District Court Judge. She seeks to fill the new Department 8 judgeship recently created by the state legislature. "I have extensive courtroom experience from my thirteen-year tenure at the Yellowstone County Attorney's Office," Pierce says. "As a prosecutor, I helped to convict child abusers, sexual predators, serial rapists and other violent offenders. My goal has always been to make Yellowstone County a safe place, especially for those who are particularly vulnerable. Our citizens need someone who is experienced, fair and hard working. I am all of those things and more." Since leaving the County Attorney's office in 2017, Pierce has worked for Moulton Bellingham, PC, a well-known Billings law firm. She handles family law, civil litigation and criminal defense cases, and she also represents abused and neglected children. To schedule an interview with Juli, please phone 406-545-0542. Additional information can also be found at julipierce.com. Juli is a Billings native and a graduate of Skyview High School. She earned a BA in Criminal Justice and Sociology from Gonzaga University and, after working as a social worker in Billings, she attended the University of Washington School of Law. She is a former prosecutor for the Yellowstone County Attorney's office, and she has worked diligently on legislation related to strengthening child abuse and domestic violence laws. She is currently an associate attorney with the firm of Moulton Bellingham, PC.